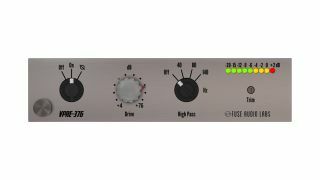 Fuse Audio Labs has released the VPRE-376, a plugin version of a certain hardware preamp module that was originally designed for broadcasting applications. This emulates its audio transformers, discrete class A preamplifier and driver circuitry. Additional features in this digital verison include phase inversion, a continuous drive control, gain compensation, a linear trim control and VU metering. You can use the VPRE-376 for subtle colouration and to add different flavours of distortion to your audio, while the High-Pass control can be used to clean up the bottom end. VPRE-376 is available now in VST/AU/AAX formats for PC and Mac priced at $19. Find out more and download a demo on the Fuse Audio Labs website.